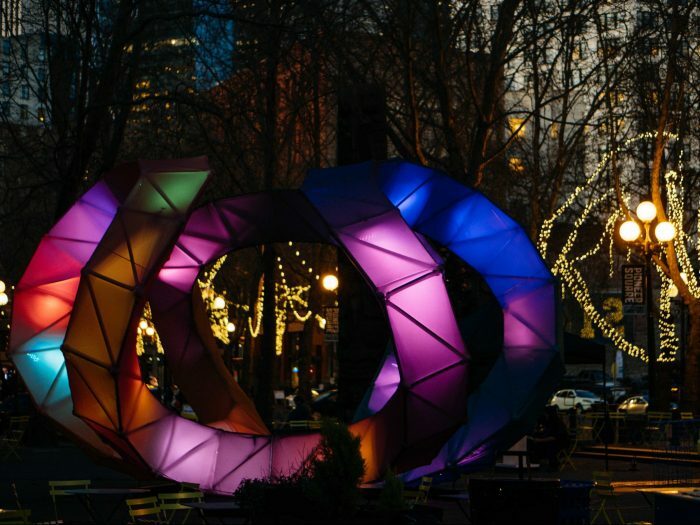 The 360 Beacon Hub is a twisting, glowing chromatic art display climbing 20 feet high across a 32-foot diameter in the middle of Occidental Square. Visitors to Occidental can walk under and through this multi-colored installation that is sure to be a photo favorite. Lounge areas within the Hub invite visitors to meet and relax. 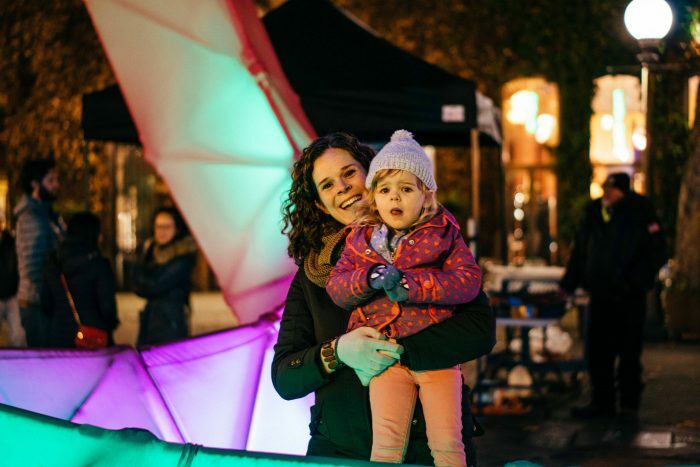 At night, the 360 Beacon Hub is activated by a choreographed series of unique light displays, one for each day of the week, with a goal of creating a vibrant nighttime atmosphere. 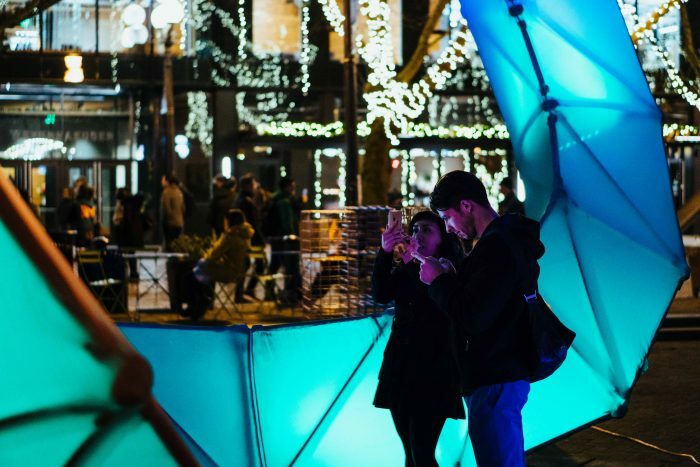 The installation was created by art and design firm StereoBot.